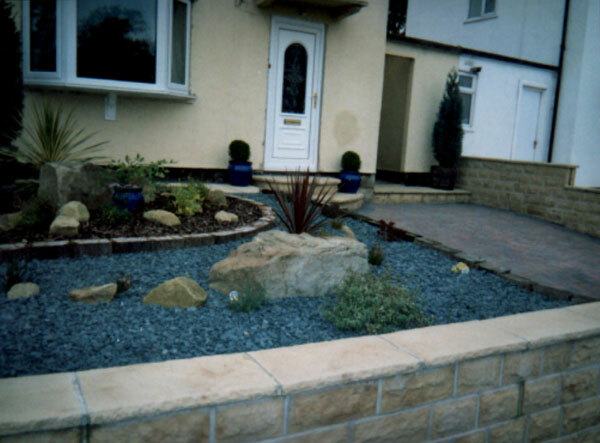 This garden and driveway needed a full make over. 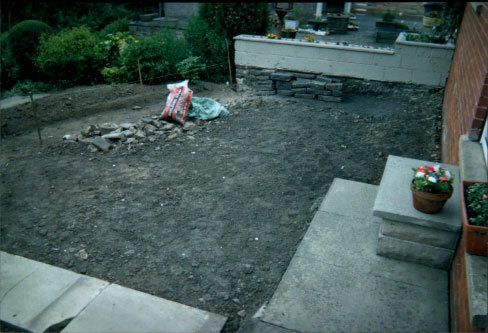 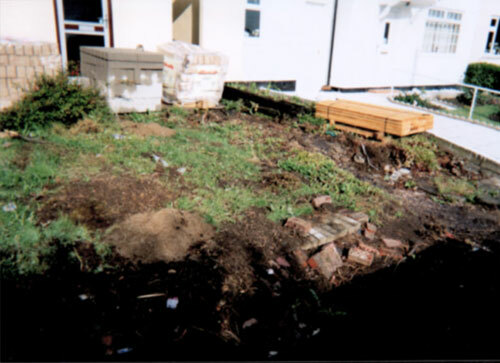 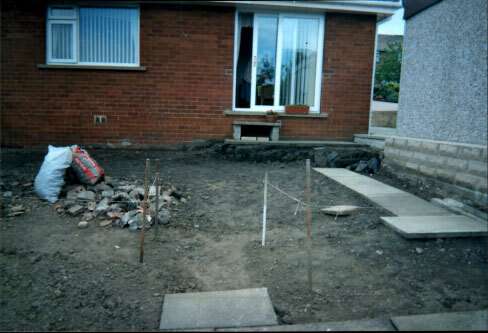 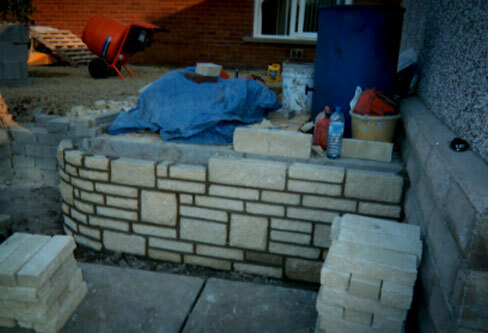 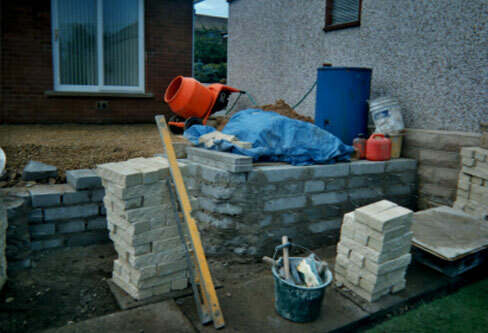 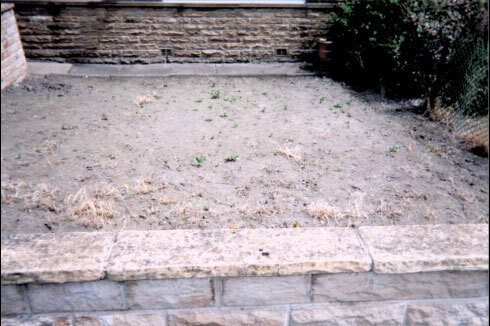 We begain by preparing the garden and digging out for the foundations for the wall and drive way. 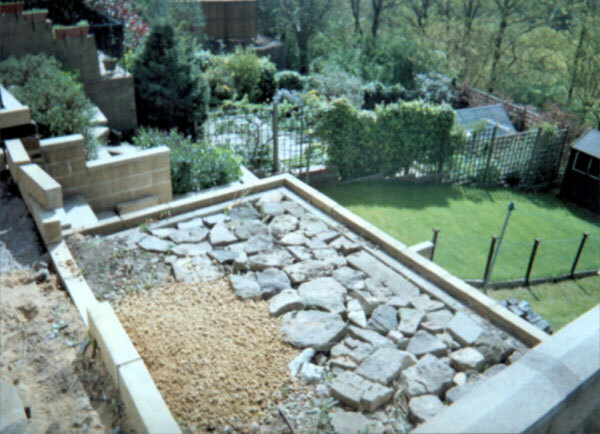 The materials used were Stone Heritage for the wall, Autumn Brindle block pave, log sleepers for the edgings and Swithland Green decorative slate for the garden. 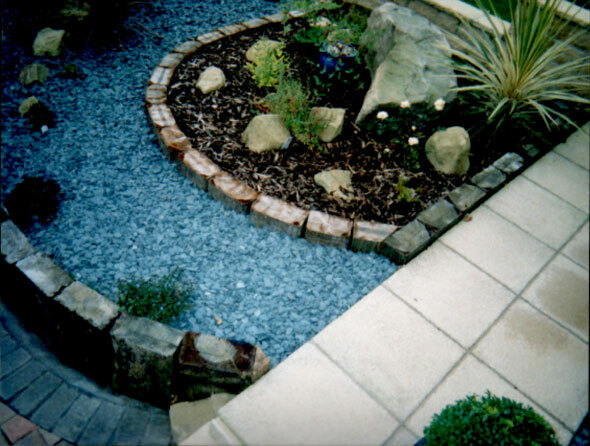 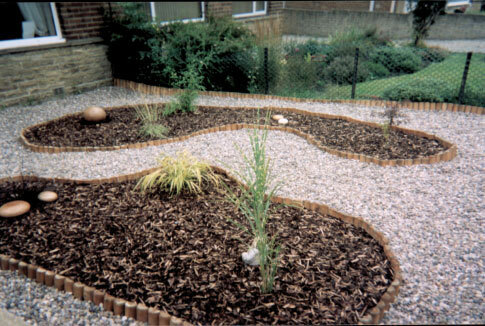 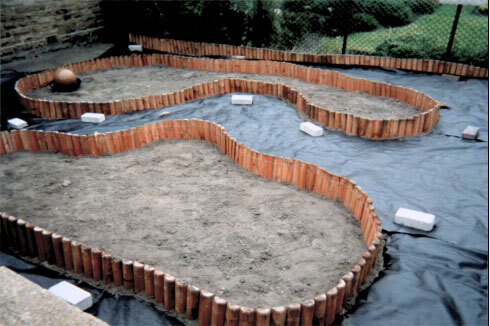 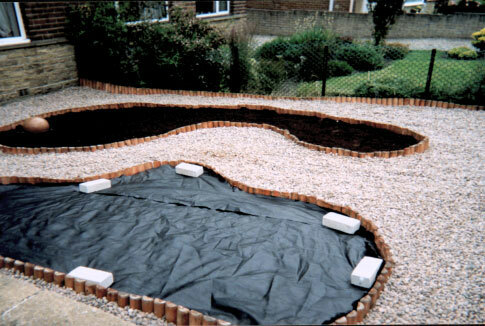 This garden design is effective and low maintenance with Half circle Budget Border Rolls and a black membrane which is porous, but stops weeds coming through with compost, wood Chipping's and 20mm pea gravel to finish it off. 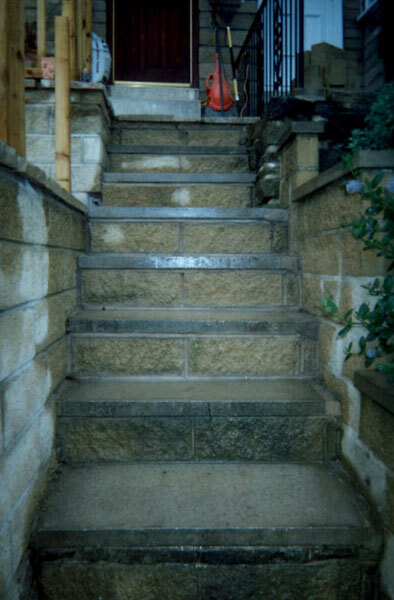 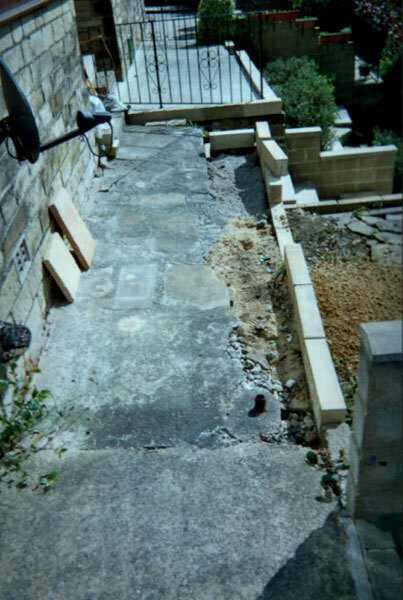 The path, patio and steps were unsafe, so we used pitched buff blocks with Wetherdale Cotsworth flags and rails around the patio, which made the whole structure much safer. 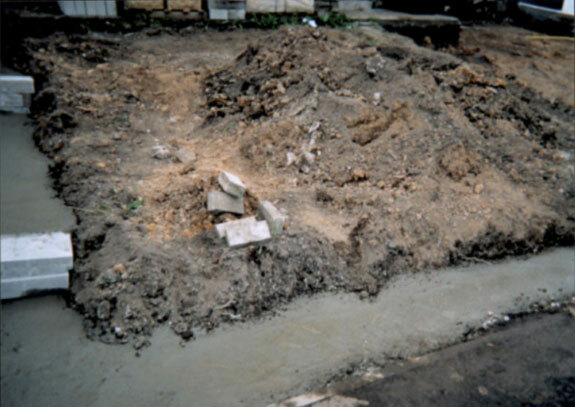 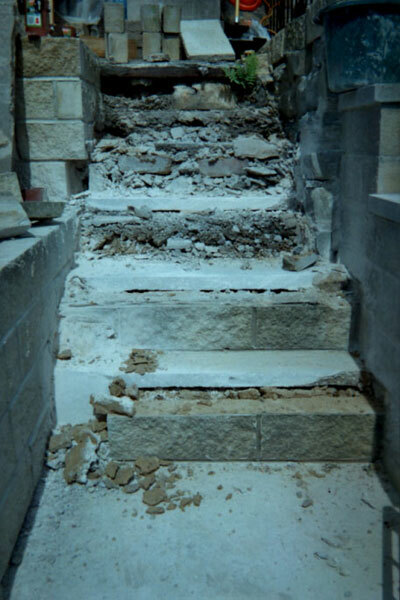 Concrete foundations - cement and one ton of ballast. 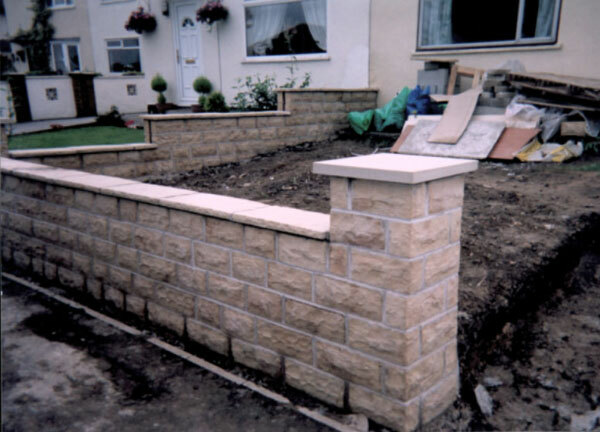 Concrete base - 18 inch wide concrete breeze blocks were needed for the retaining wall for extra support with ties and a pitched faced blocks in buff colour. 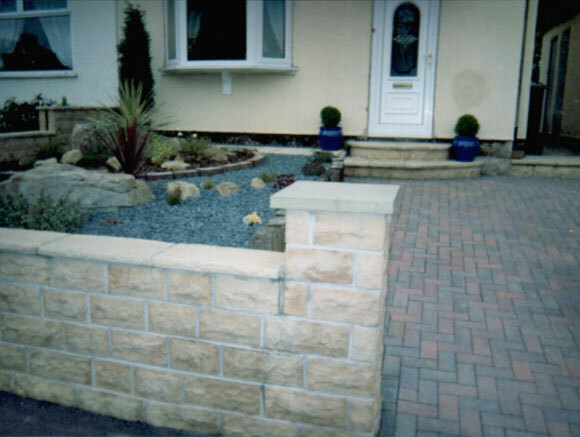 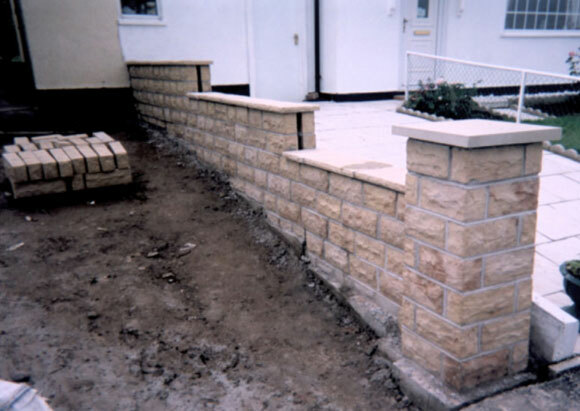 For the border - Block paves, Charcoal Bringles design. 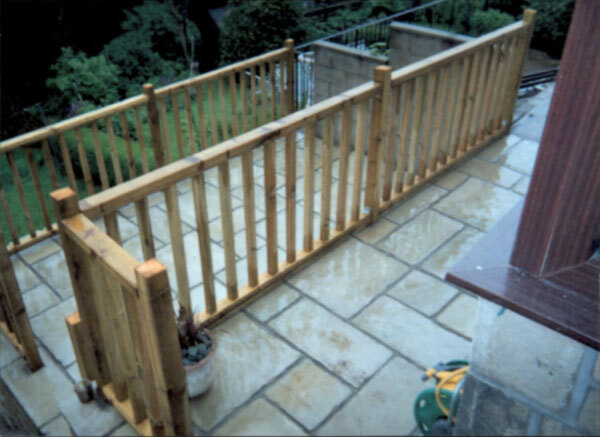 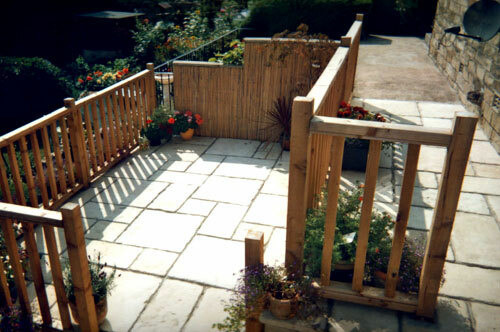 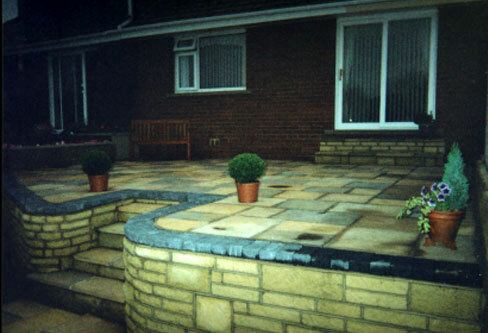 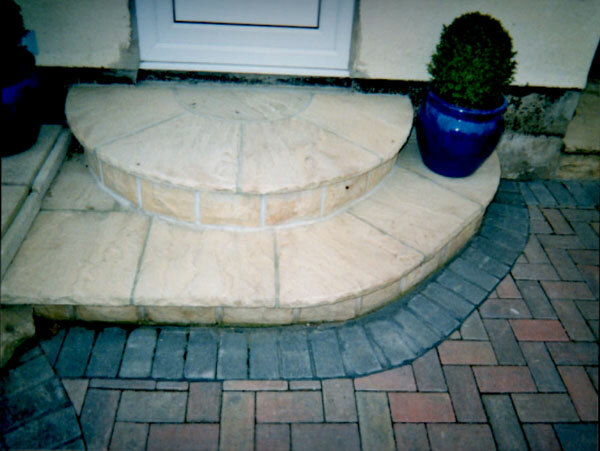 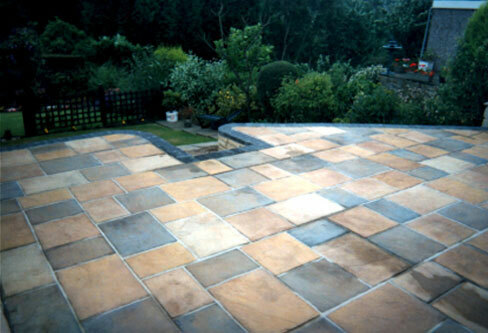 Patio - the customers choice for the flags were Old Riven design and coloured in Autumn Bronze, Gold, Cotswold and Silver. 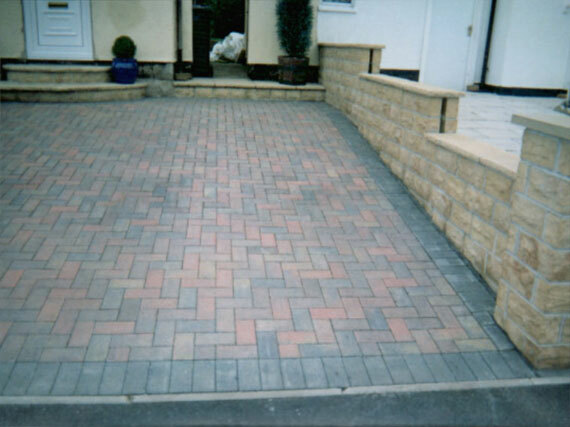 This job took 3 weeks to complete.